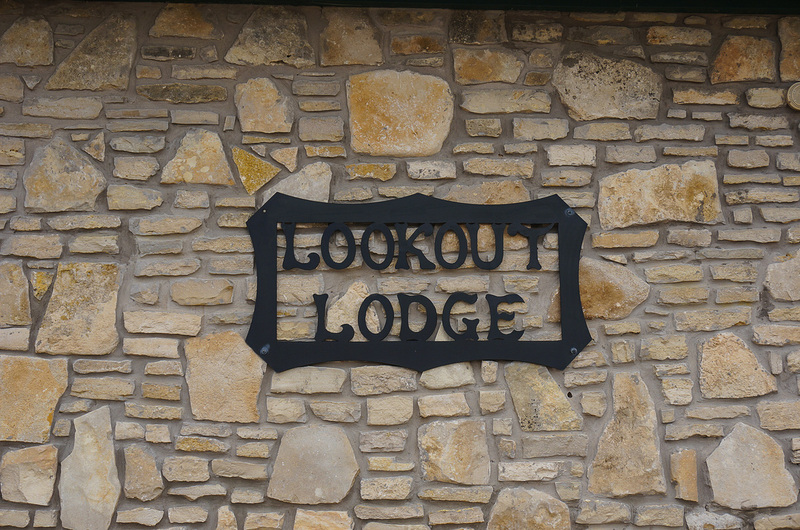 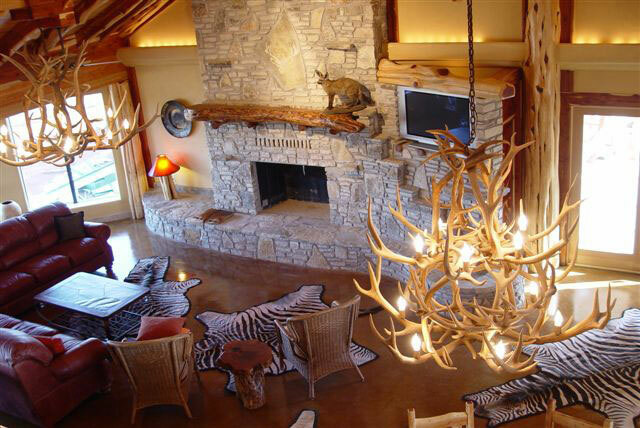 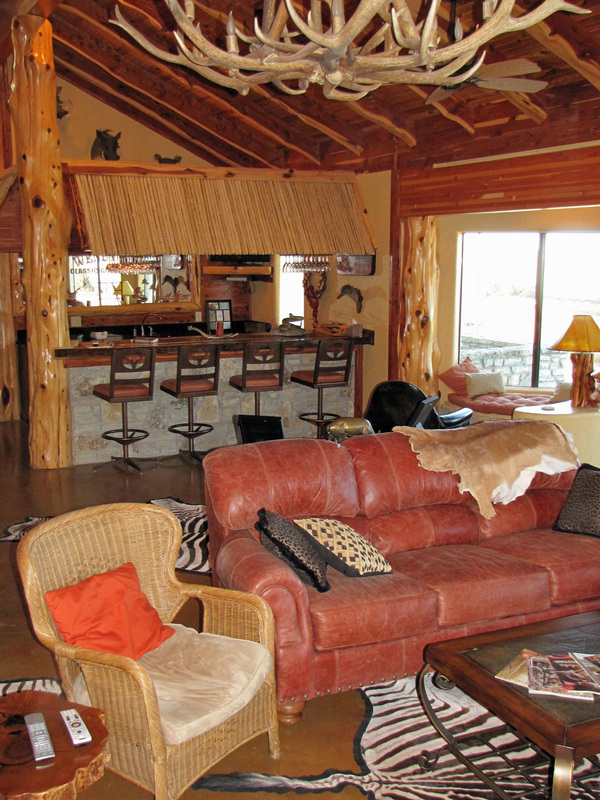 The Wendy Lou Classic Game Reserve "Lookout Lodge" is situated on a high ridge, thus affording panoramic views of the riverine areas, grasslands and natural bush. 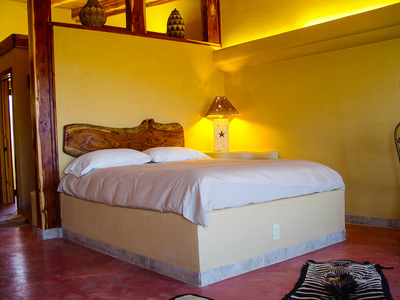 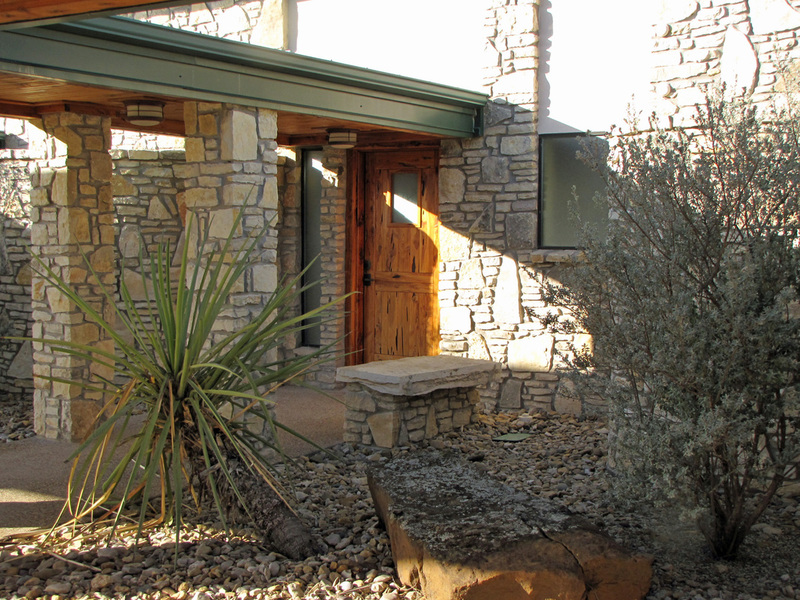 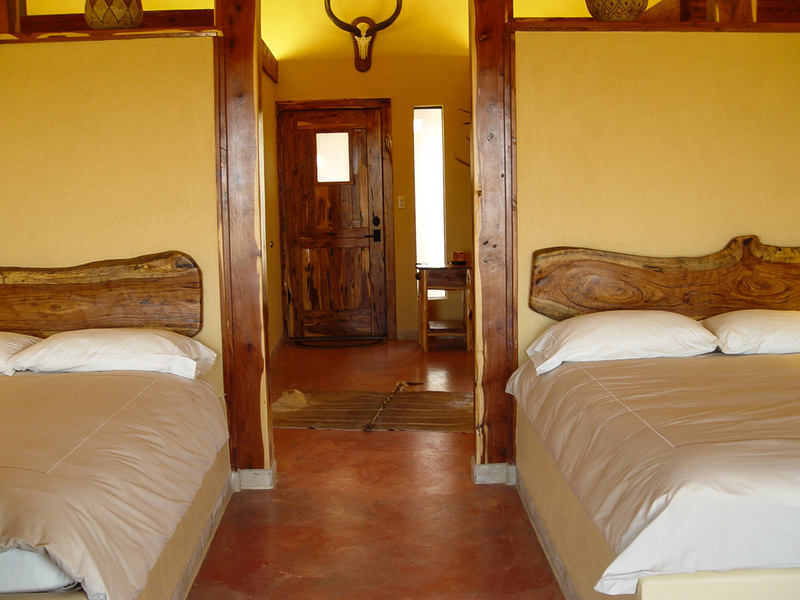 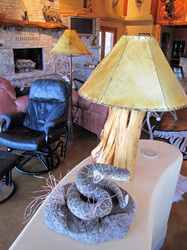 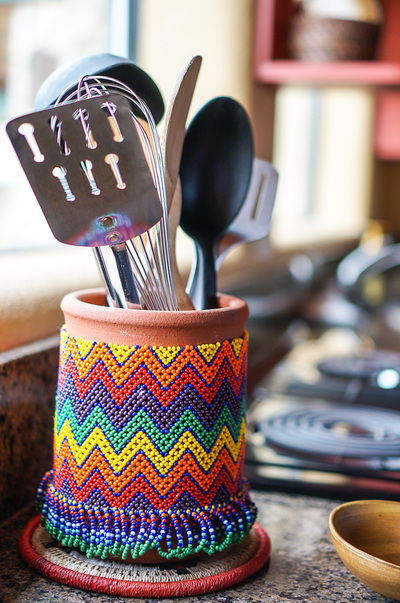 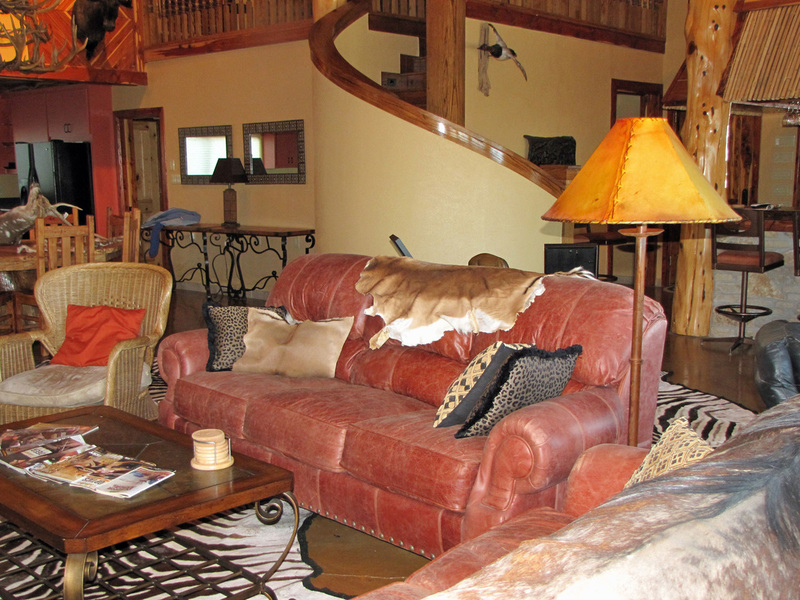 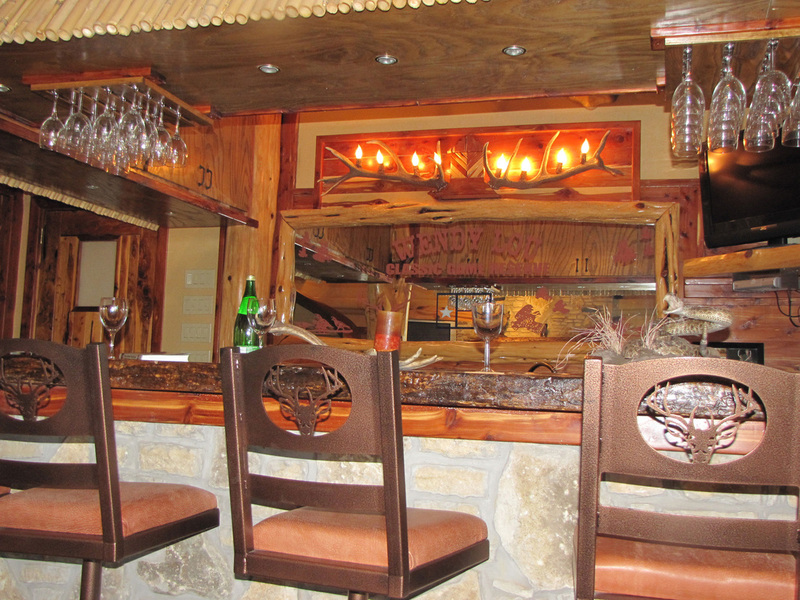 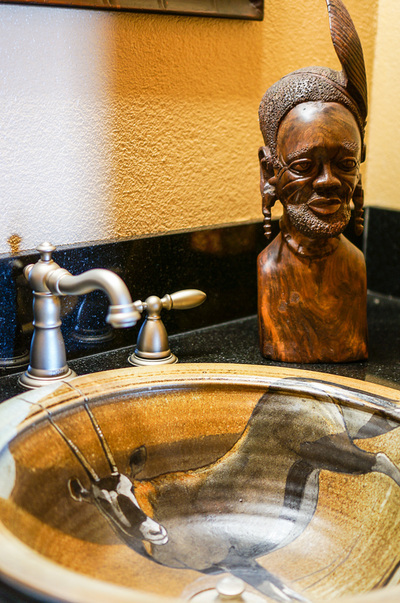 The design incorporates Texan comfort with African ambiance, giving our guests a unique Tex African experience. 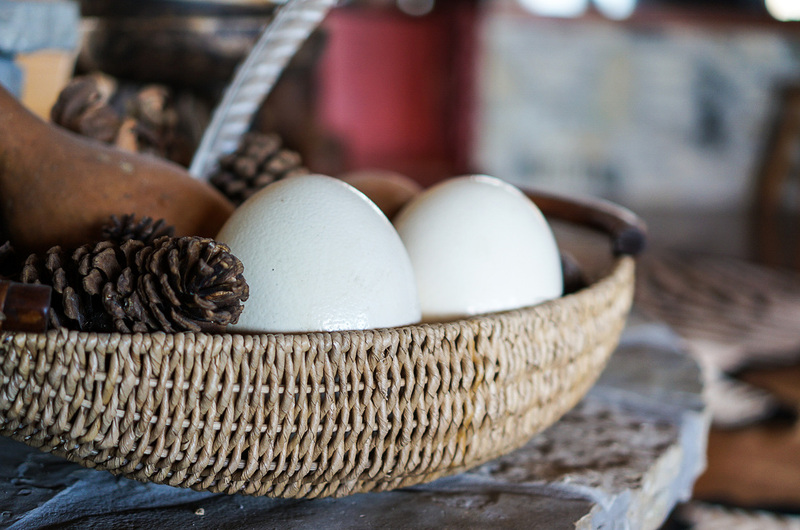 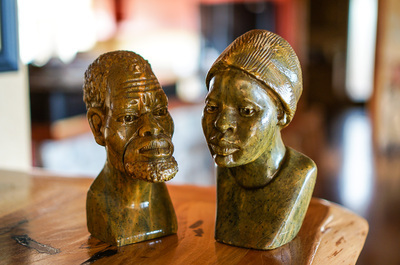 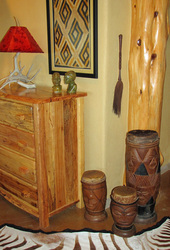 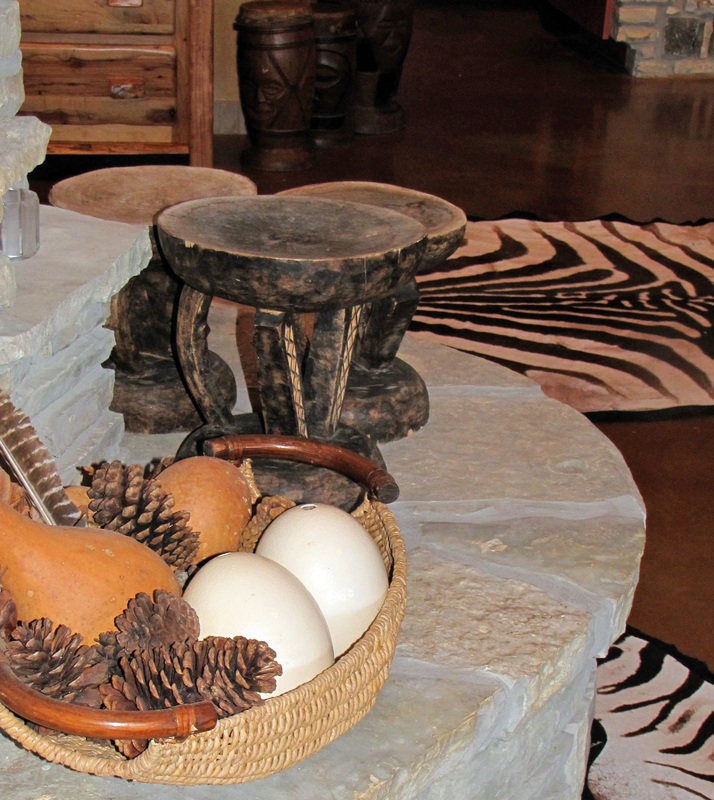 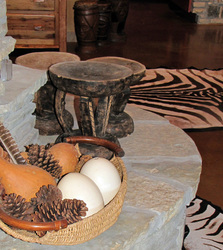 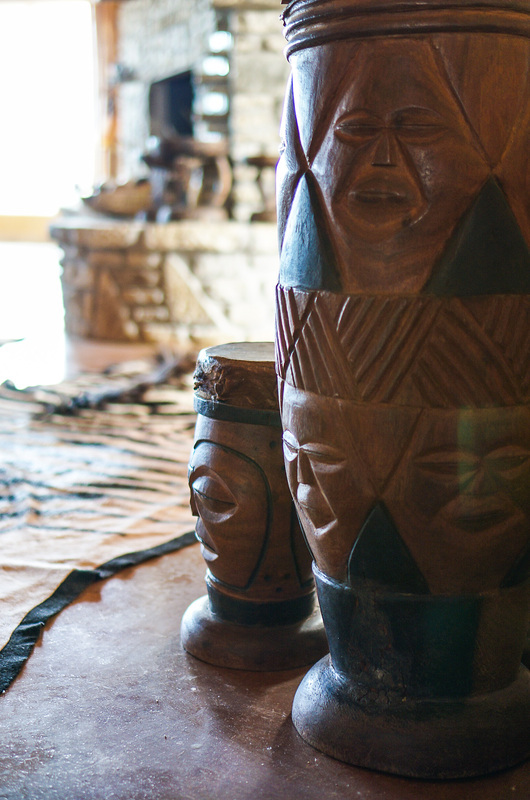 African collectables such as carvings and artworks, traditional weapons, calabashes, drums and such, amassed over many years are found throughout the lodge. 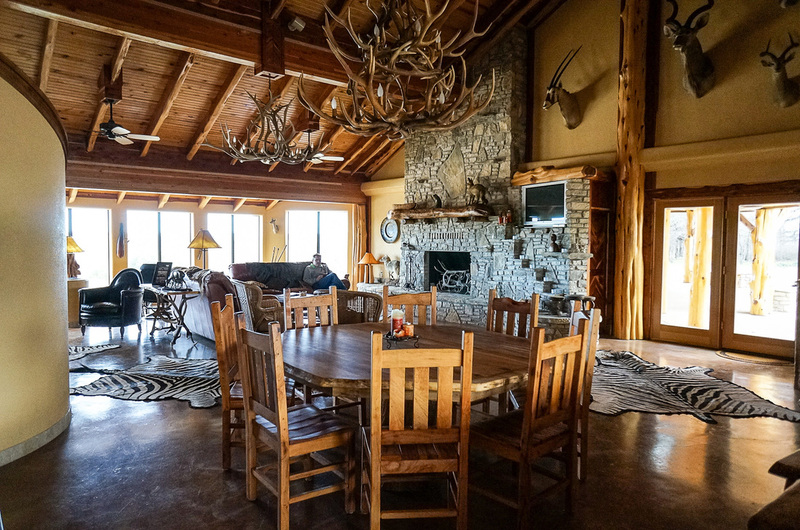 Each suite has two queen size beds, a luxury bathroom, an enclosed outdoor shower, built-in personal gun safe, personal satellite T.V. 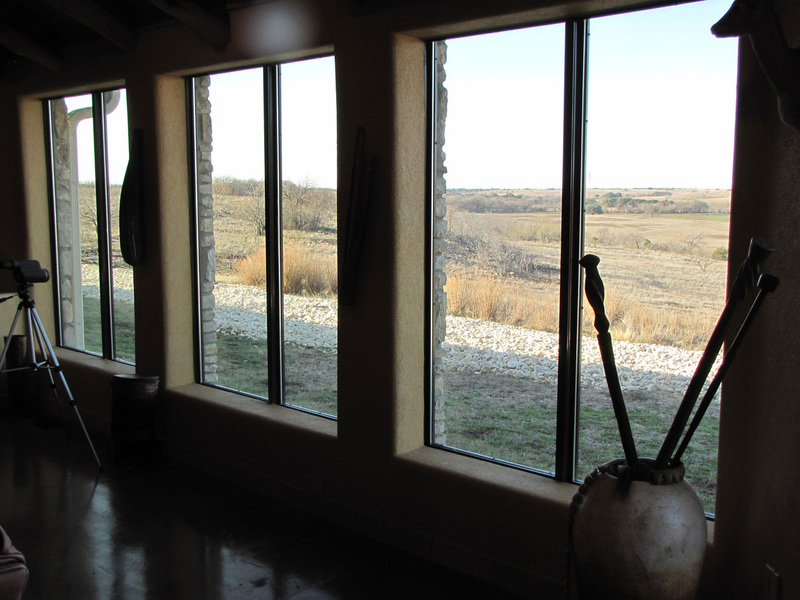 and its own ducted air conditioning system. 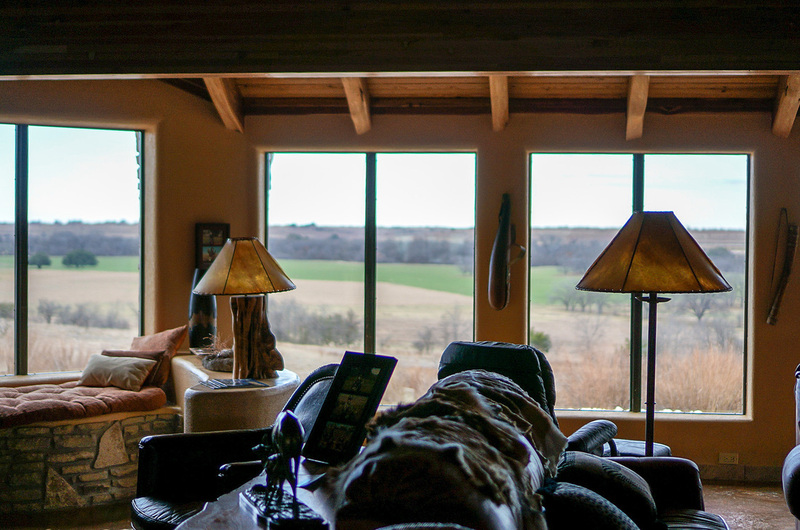 The living area with its impressive wood and stone features incorporates an open plan lounge/dining/kitchen/bar area with comfortable funishings, large open fireplace, satellite TV and a quiet reading space upstairs. 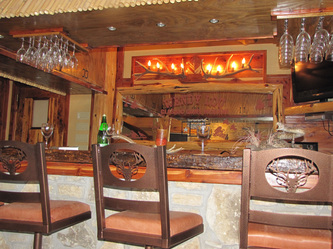 The outdoor "boma", a stone wall enclosed fire pit and dining area, open to the stars, offers an African feel and is the venue for a different evening dining experience. 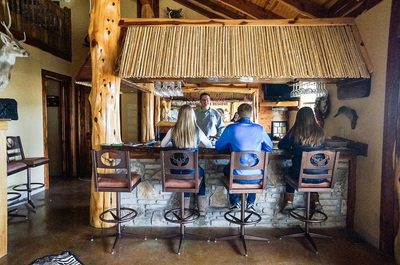 Relax in front of the fireplace or chill out at our thatched "Look-out Bar" while your hosts take care of gourmet meals, ensuring that your stay at Wendy Lou is nothing short of Five Stars!